HomePresidents BlogAussie to the Rescue! With 6 Chinese Crested dogs, scared & on the run after their dog trailer was involved in an accident who do you call? 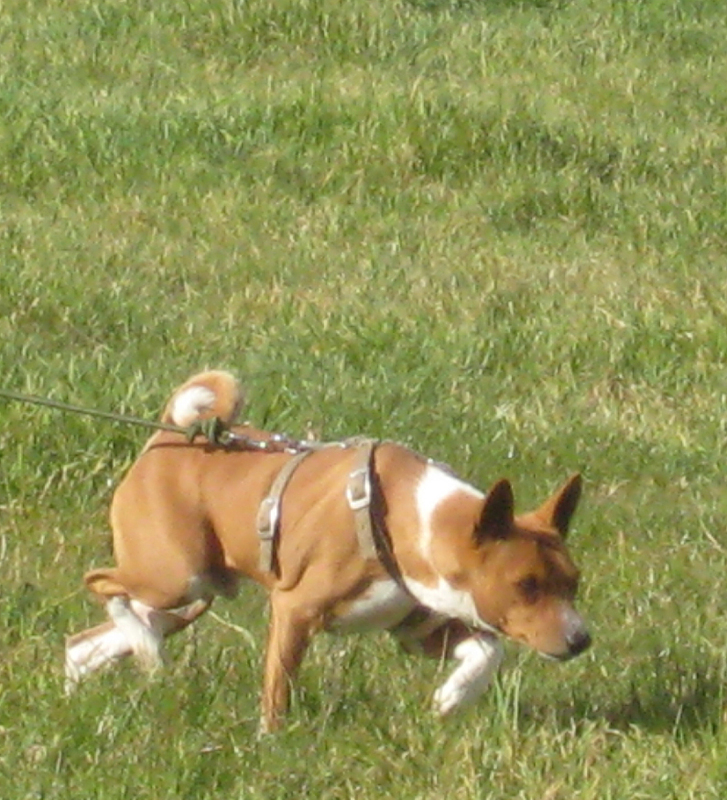 Basenji Aussie! Aussie is Dual Ch (Tracking) Taqsim Signet Silknsmoke TDX, as far as we know the worlds first Dual Tracking Champion, certainly the first in Australia. Never in his, or for that matter his trainer, handler and owner Bev Reid’s wildest imagination did they think that they would be called upon to mount a rescue mission to track and locate not one but 6 Chinese Crested show dogs. Due t the accident he dogs escaped the confines of their trailer, were scared they ran from the scene. The accident occurred near the north eastern town of Benalla in Victoria. Aussie was instrumental in tracking and locating the first Chinese Crested to be found Mr T. As far as we know after several days of searching 5 out of the 6 dogs lost have been located – a wonderful achievement. The VBBA is very proud of Aussie (pictured) and Bev for their efforts. Bev is the Vice President of the VBBA and the Club has watched Aussie’s tracking career with enthusiasm as he attained title after title. All done in his more ‘mature’ years! Via DNA Chinese Crested dogs are apparently one of the dogs most closely related to Basenjis although it is really hard to image from the difference in type! We will add more, once details are known.